The earliest evidence of the taming of the elephant goes back to the spectacular Indus Valley civilization, also known as the Harappan culture, which flourished during the third millennium b.c. over an area much larger than that of either the Egyptian or the Mesopotamian civilizations. This included a city culture maintained from surplus agricultural produce of the surrounding country, in the Punjab, Sind, northern Rajasthan, western Uttar Pradesh, and Kathiawar areas in present-day Pakistan and India. Associated with the Harappan culture are small steatite seals with a pictorial motif, animal or human, and an inscription. The elephant is a common motif in these seals (fig. 2.1), depicted in some with what appears to be a long piece of cloth draped over its back. 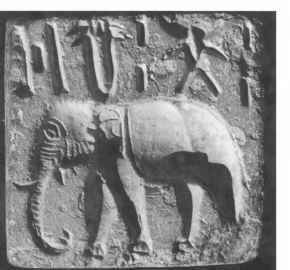 Tame elephants were obviously present in or known to people of the Harappan culture. We cannot conclude from this that the elephant was first tamed by the Indus people, but merely that this represents the earliest known evidence of captive elephants. The elephant may well have been tamed earlier by peoples who inhabited the Indian subcontinent prior to the rise of the Harappan culture. One of numerous depictions of an elephant on steatite seals associated with the ancient Indus Valley civilization in the northwestern Indian subcontinent. been questioned recently. There is certainly no evidence that the elephant's range ever extended further west of the Indus River basin, except in the extreme south within a very tenuous belt along the coastline of the Arabian Sea and the Persian Gulf (even this is only inferred from its historical presence in the Tigris-Euphrates basin). subcontinent. Given the vast geographical spread of the Harappan culture sites, no single cause can perhaps explain its decline in key places. The impact of this ecological transformation of northwestern India on the wild elephant would also have been significant. 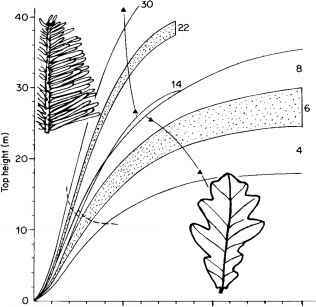 The limit of elephant distribution would have shifted further east, perhaps leaving some isolated herds in moister vegetation patches of the Indus basin. The relationship of the Indus people with the elephant is not clear. Although elephants were presumably caught and tamed, the methods of capture and the use to which they were put are not known from unambiguous sources. The Indo-Europeans or Aryans, a pastoral people from Central Asia, reached the Indian subcontinent around 1500 b.c. It is here that the Aryans must have first come into contact with elephants, wild ones as they pushed into the Indo-Gangetic basin and captive ones held by the pre-Aryan tribes who inhabited the region. The hymns, prayers, poems, rituals, and incantations of the Aryans, a series of compositions known as the Vedas (1500-600 b.c. ), provide the earliest sources of information on the human-elephant relationship. Following these are the Ramayana and the Mahabharata (the two great Indian epics), which deal with events that may have originally taken place during 1000-700 b.c., and the Jataka stories (the stories of the Buddha's former births), which are believed to have been compiled by the second century b.c. Dhriti K. Lahiri-Choudhury has elaborately described the references to the elephant in these sources. I confine my interpretations to the ecological significance of the elephant-human relationship. The immigrant Aryans confronted, absorbed, and modified the "elephant technology" with which they came in contact as they moved into the Gangetic plains. The domesticity of the elephant is well established, even during the earliest Vedic times. The ownership of an elephant was a status symbol, and an important person such as a king would ride a richly caparisoned elephant. However, one notable feature of the animal-human relationship during the Vedic times has been pointed out by Lahiri-Choudhury. Horses were still the most important animals of the Vedas, the elephant having not yet supplanted the horse as the vehicle of the Aryan god Indra. This reflected the early years of contact between the horse culture of the Indo-Aryans and the elephants of the territory into which they had moved.